I’m very pleased to announce that we have acquired TechCrunch. Details are in the press release below, and I’m sure founder Michael Arrington will have a few words to say as well. This is a great complement to our continued investment in world class content. This press release contains “forward-looking” statements within the meaning of the Private Securities Litigation Reform Act of 1995 regarding business strategies, market potential, future financial and operational performance and other matters. Such forward-looking statements include, but are not limited to, statements regarding the anticipated benefits of the transaction and other statements identified by words such as “may,” “will,” “intend,” “should,” “expect” or similar expressions. These statements are based on management’s current expectations and beliefs, and are subject to uncertainty and changes in circumstances, including, but not limited to, the satisfaction of the closing conditions to the transaction and the parties’ performance of their obligations under the agreements; changes in our plans, strategies and intentions; the competitiveness and quality of our products and services; our ability to retain, hire and develop key employees; and the intensity of competition. Any forward-looking information is not a guarantee of future performance and actual results may vary materially from those expressed or implied by the statements herein, due to changes in economic, business, competitive, technological, strategic and/or regulatory factors, as well as factors affecting AOL’s operations and businesses. More detailed information about these factors as they relate to AOL may be found in the section entitled “Risk Factors” in AOL’s Annual Report on Form 10-K, filed with the Securities and Exchange Commission. AOL is under no obligation to, and expressly disclaims any obligation to, update or alter the forward-looking statements contained in this press release, whether as a result of new information, future events or otherwise. AOL Inc. (NYSE:AOL) is a leading global Web services company with an extensive suite of brands and offerings and a substantial worldwide audience. AOL’s business spans online content, products and services that the company offers to consumers, publishers and advertisers. AOL is focused on attracting and engaging consumers and providing valuable online advertising services on both AOL’s owned and operated properties and third-party websites. In addition, AOL operates one of the largest Internet subscription access services in the United States, which serves as a valuable distribution channel for AOL’s consumer offerings. TechCrunch is a weblog dedicated to obsessively profiling and reviewing new Internet products and companies. In addition to covering new companies, we profile existing companies that are making an impact (commercial and/or cultural) on the new web space. 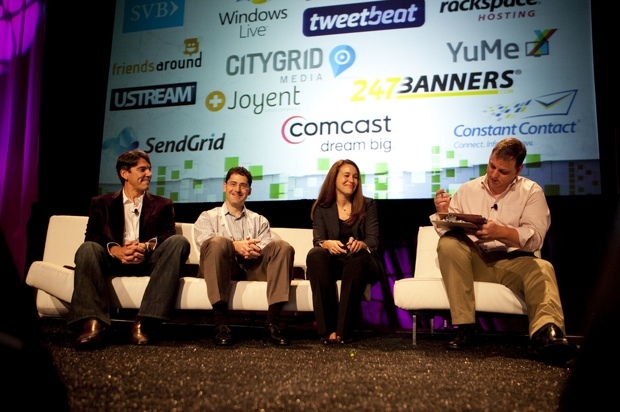 TechCrunch has now grown into a network of technology focused sites offering a wide range of content and new media. Video of the announcement is available on TCTV.